saute the shallots and garlic in a little oil until the shallots are translucent. Add the mushrooms and cook until the mushrooms begin to release moisture, remove about 4 tbsp of mushrooms for garnishing the finished soup. Add the wine, oat milk, stock, tamari and oats. Bring to a boil then reduce to a simmer. Simmer for 15 minutes. add the remaining ingredients and cook for a few minutes more. Remove from the heat and allow to cool slightly then blend to a smooth consistency. Serve in bowls and top with some of the reserved mushrooms and some chopped parsley. 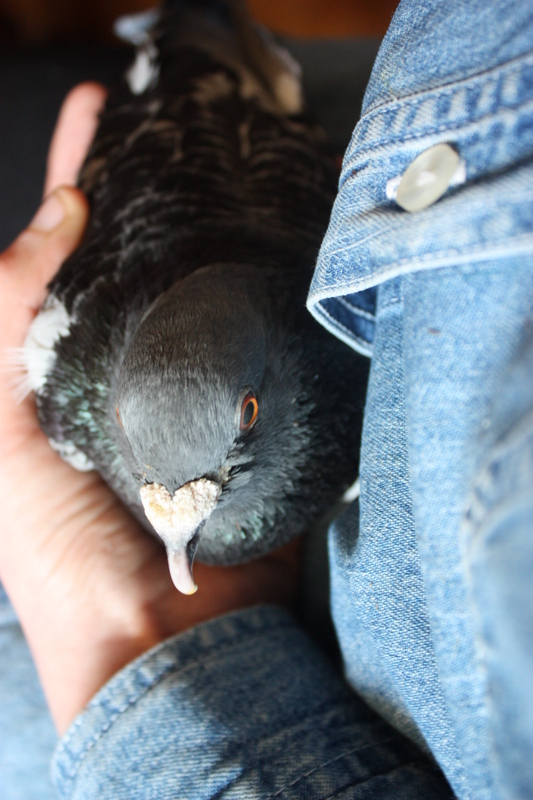 oh, FYI I now care for a disabled pigeon and hes a babe….. 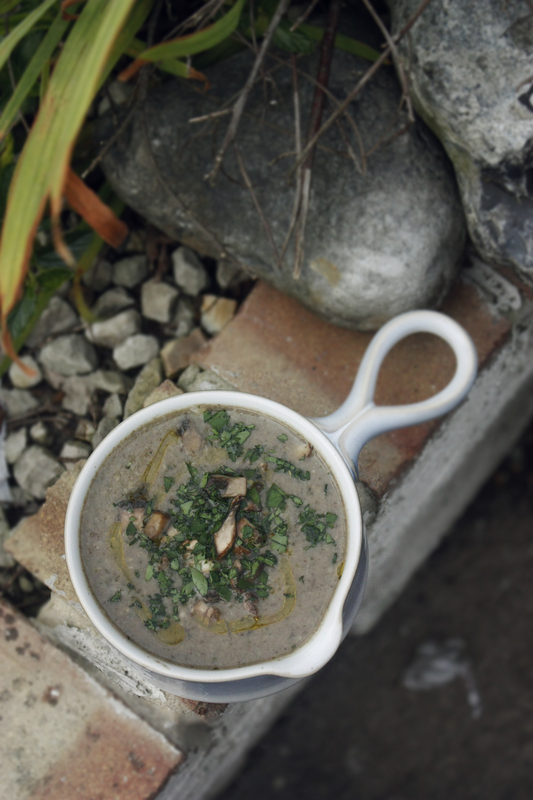 This entry was posted in soups and stews and tagged cheap, dairy free, easy, food, mushroom, oatly, oats, recipe, recipes, simple, soup, vegan, vegetarian. Bookmark the permalink. This sounds relish! I use a similar recipe with barley. I love mushrooms! Oatly is rad! And your soup is, too. perfect, I really like oat milk (not so keen on soy milk) so will give this a go. Mmm I’ve never tried oats in soup (which is hard to believe because I’m a little oat-obsessed). Thanks for persuading me to try something new!